Apple Maps, which (in theory) unlike Google Maps has no interest in tracking where you go or what you are looking for, is now available on the web thanks to a partnership with DuckDuckGo. A valuable combination of mapping and privacy. But why not an open map? DuckDuckGo can now offer users improved address searches, additional visual features, enhanced satellite imagery, and continually updated maps already in use on billions of Apple devices worldwide. 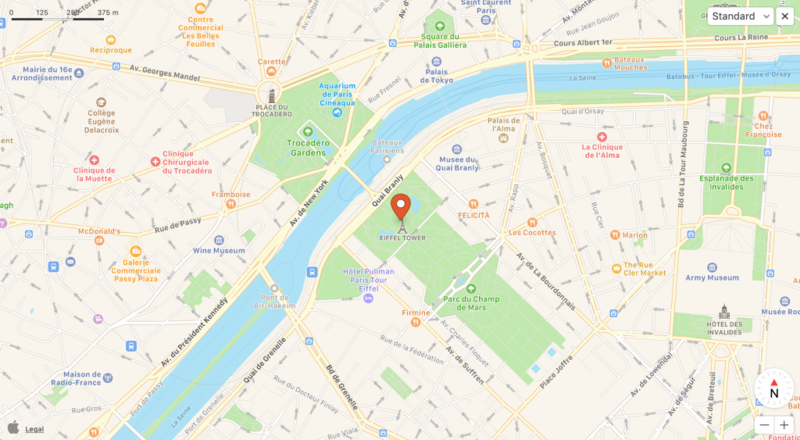 Isn’t OpenStreetMap better for a web engine like DuckDuckGo? DuckDuckGo continues unstoppable to grow and in the month of January will exceed one billion searches, with a growth of more than 50% referred to the last year. Of course, Google has thousand times larger volumes, but DuckDuckGo is free, open and do not send any personally identifiable information such as IP address to Apple or other third parties.